It’s the stuff of a Hollywood blockbuster or Netflix series as Expedia brings to life some of Ireland’s most ancient kings and queens. With the help of historians from the National Museum of Ireland, Trinity College, Dublin and Queen’s University, Belfast, Expedia creates a fascinating account of the kings and queens who reigned in Ireland thousands of years ago on their new website: Kings and Queens That Shaped Ireland. 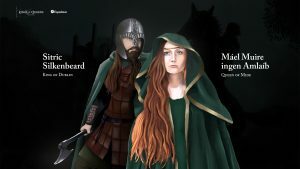 This includes a wonderful display of illustrations depicting the different kings and queens, as well as a series of connecting timelines and stories dating back some thousands of years ago. 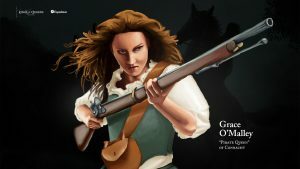 As you enter the site, expect to be taken on a journey through the lives of some of Ireland’s most notable kings and queens as they battle for power, marry numerous times, and eventually relinquish or pass on their throne. 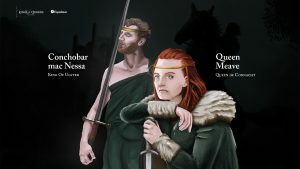 From the likes of Brian Boru, arguably one of Ireland’s greatest kings, to the lesser-known thrice married Queen Gormlaith and King Conchobar mac Nessa, once a High King of Ulster. 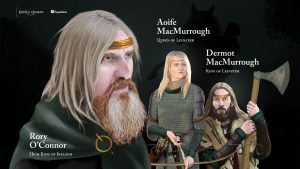 Going one step further, the site has an array of travel itineraries that connect to each of the kings and queens featured, allowing visitors the opportunity to literally follow in their footsteps through ancient sites and villages, towns, cities and islands throughout Ireland. These itineraries feature locations of significant historical importance, including Cashel, Ferns, Killaloe and Tara, as well as other places of interest across Ireland. A breakdown of the counties featured in the travel itineraries for these kings and queens can be found below.